Formal Evening Concert Friday evening 7:30pm at Shorecrest High School Fine Arts Auditorium. Be sure to invite your family and friends, admission is free. Attire- black dress pants (or skirt) ,black socks and black shoes. White dress shirt no tie. 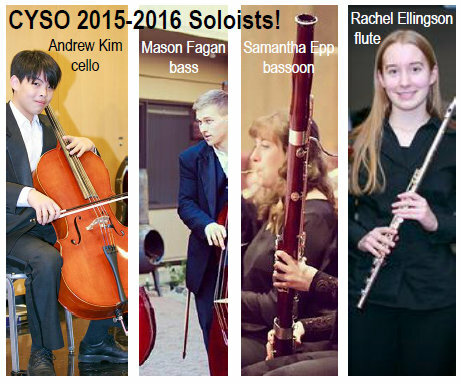 Please look for Audition registration desk on Friday to secure your spot to join Cascade Youth Symphony Orchestras for the 2015-2016 Season. Or register online now.